At the moment GlyphViewer supports many modern languages and some ancient one. In this article I will guide you through the steps of building translations from text in image from a modern language. First of all you will have to open the original image in the application. Create a project and add your image to the project from Project->Add Image menu. Notice the Language combo box that appears when you hover over the translation. You may use it to switch between different translation that you have made, so that you may see them in real life how they look over the image. Also please keep in mind that each translation can have a different font an color, so you might want to change them for different languages. You can also move the translation element across the screen to position it in a right place, for example a place in a image that has nothing interesting. Also you can build as many translations as you like in an image, if you purchased GlyphViewer application. Now when you are ready to add a new translation, you will notice that when you click on the translation element, the Edit button in Translation Builder becomes enabled. As well as Remove if you’d like to delete it. The Translation Builder dialog is designed for creating translations from Ancient Languages. But it might be very easily be used for modern languages as well. All you need to do is to choose a translation language to create (1. 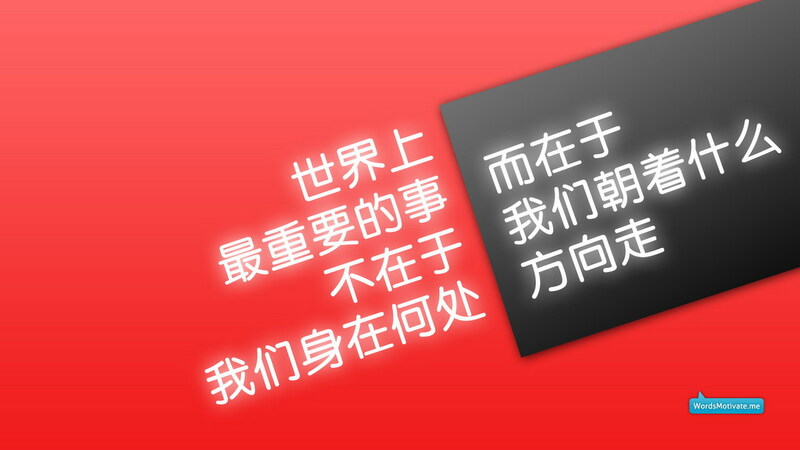 ), choose the desired font and color (2.) then actually write the translation in the text edit box (3.). If you intend to write a translation in a non-Latin language, such as Arabic, you should first choose a correct keyboard before starting to write in the text box, as you would do in notepad for example. That’s it, very simple. And you can create as many translation per a translation element as you like, as long as they are in the Translated To: combo-box. Also you can assign different languages to different translation elements in the image. When you will publish them if the selected language does not exists in what the user will select, nothing will be shown, but read further to see what I’m talking about. The Default Language allows you to choose which translations will be shown by default when the HTML is loaded. Destination text box will be the path to your generated HTML document. 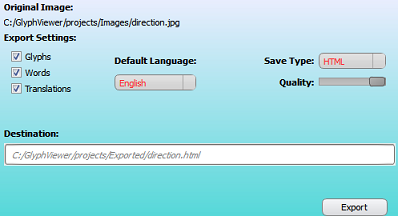 Clicking on Export button will create this file and also open the newly created HTML document in the tab bar. <IMG src=”www.your_site_url/direction.jpg” width=”1209″ height=”680″ useMap=”#features”> where the image is accessible on that address. Have fun using GlyphViewer and remember we always appreciate any feedback!